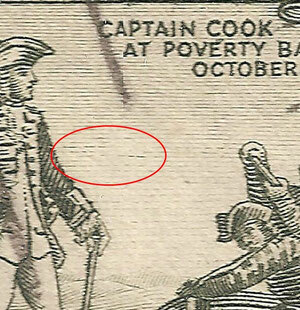 Two shilling, Plate one flaws and re-entries. 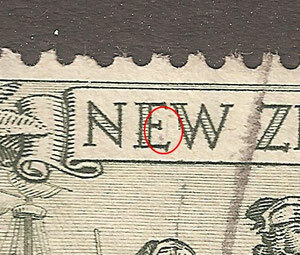 - New Zealand Stamps, A 1935 Pictorial overview. 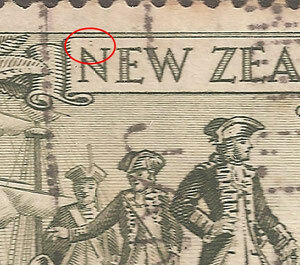 Two shilling, Plate one flaws and re-entries. 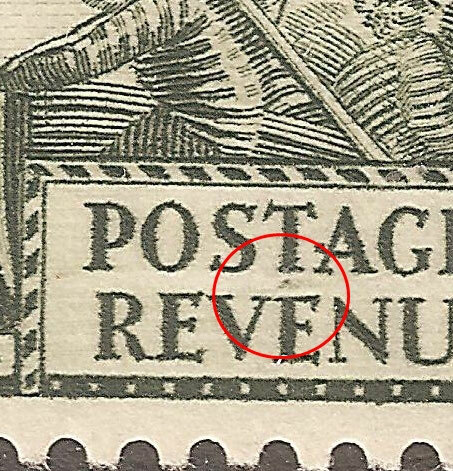 R 1/2. 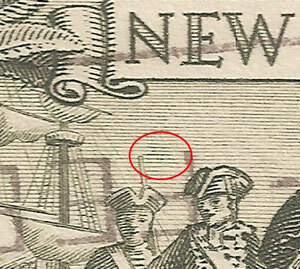 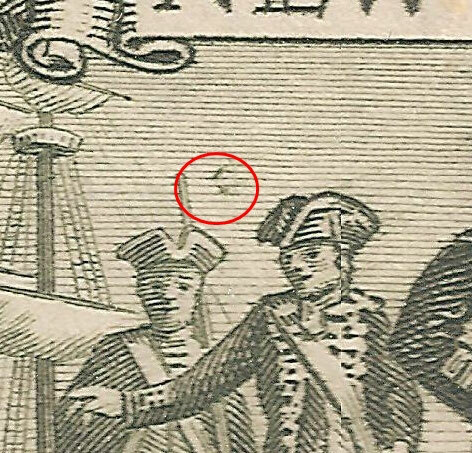 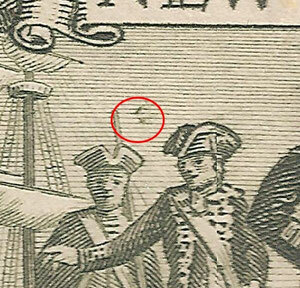 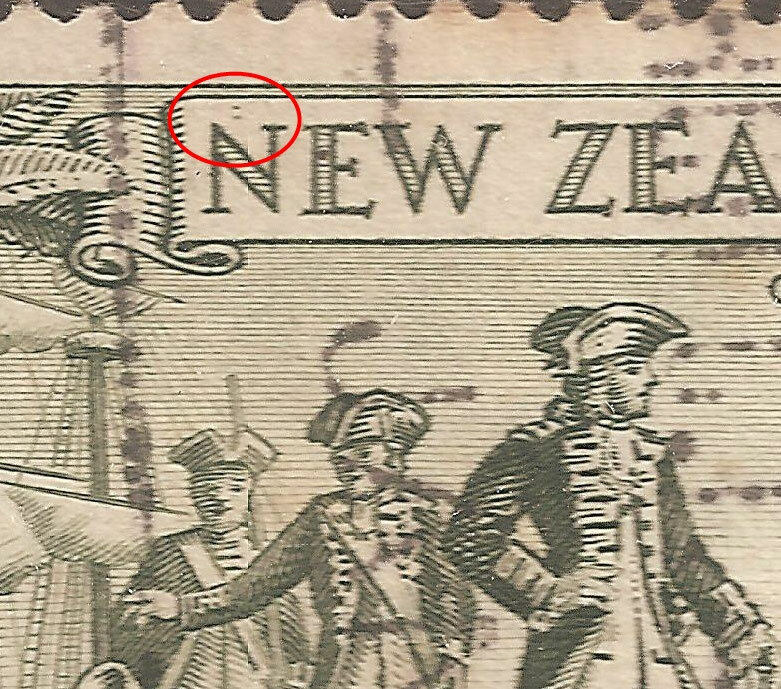 Two dots above 'N' of New,they are only found in printings 'D' and were removed befoe 'E'. 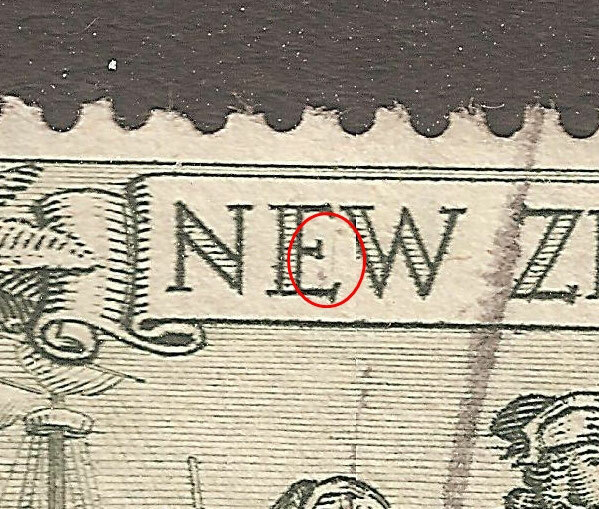 R1/3. 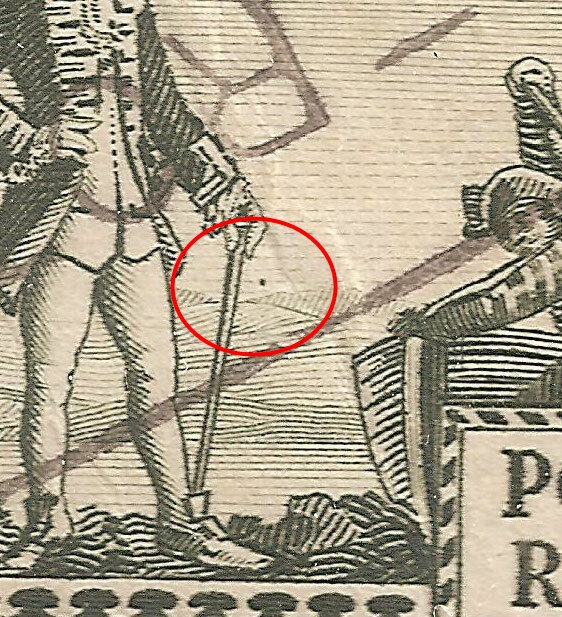 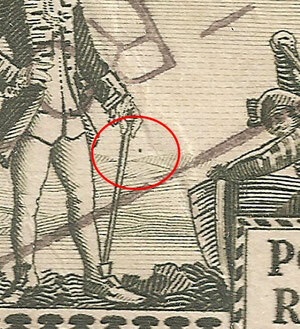 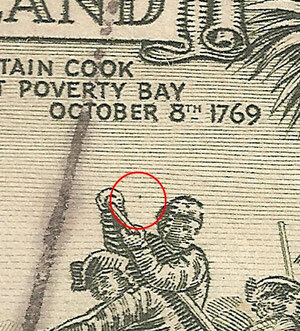 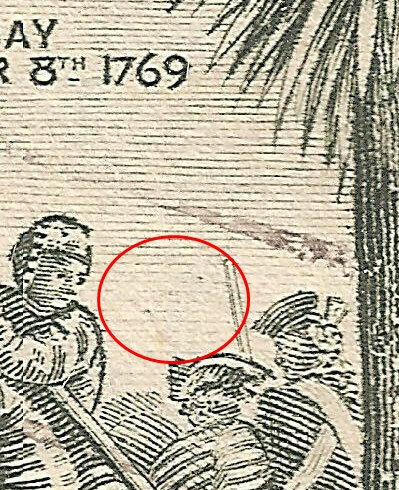 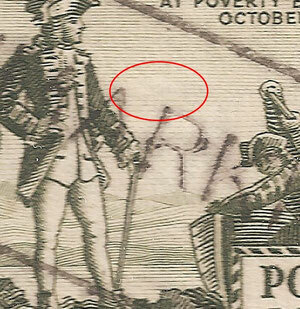 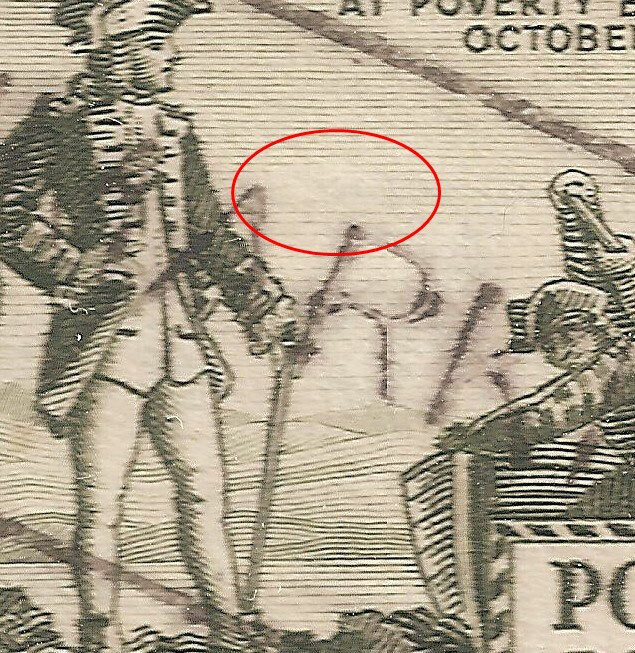 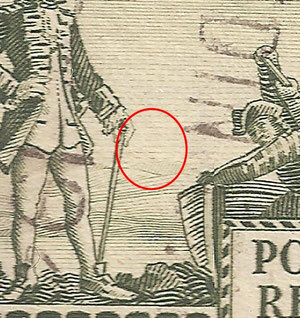 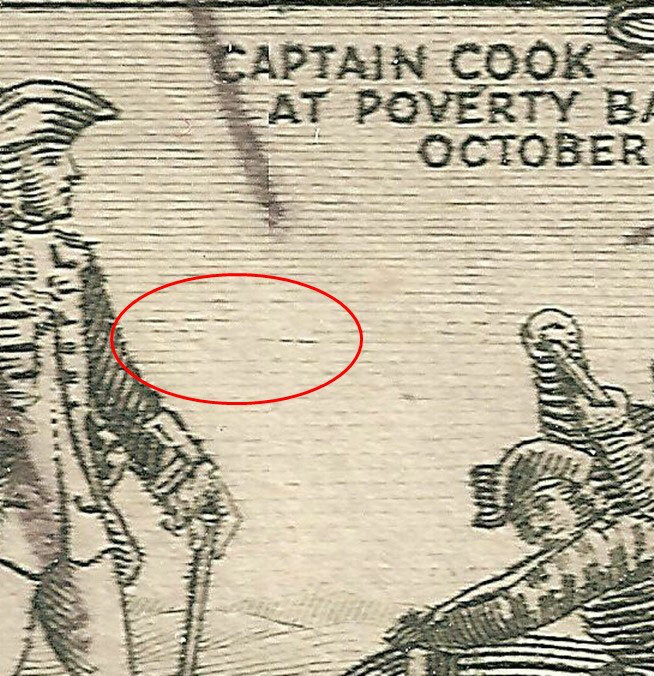 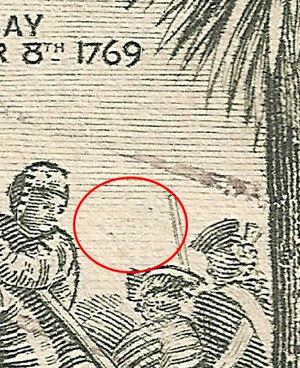 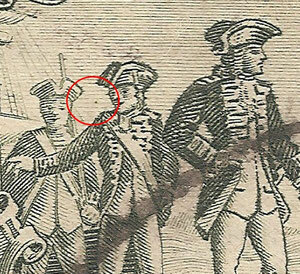 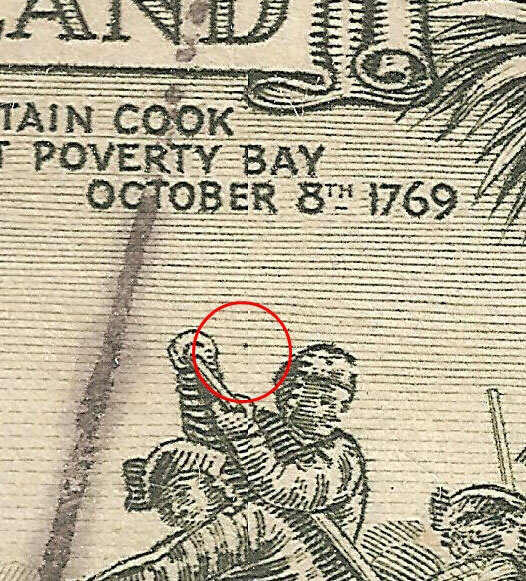 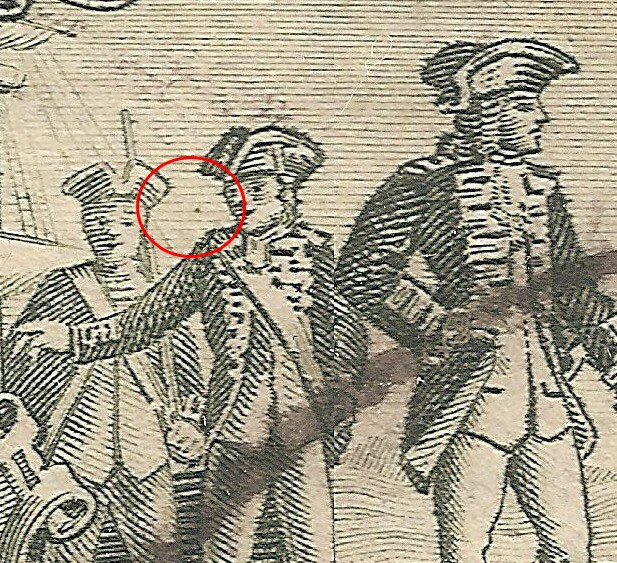 Small dot to right of Cooks stick, ocurring in 'D' and been removed before 'E'. 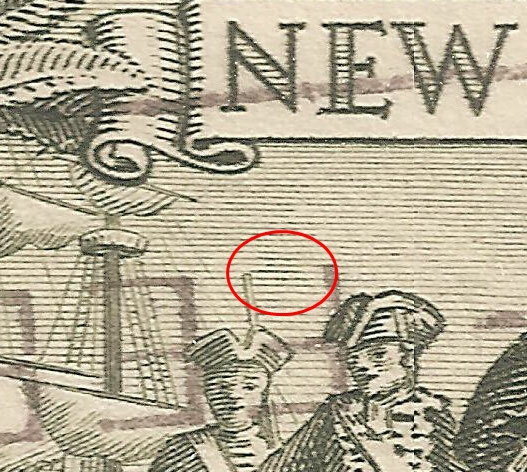 R1/3. 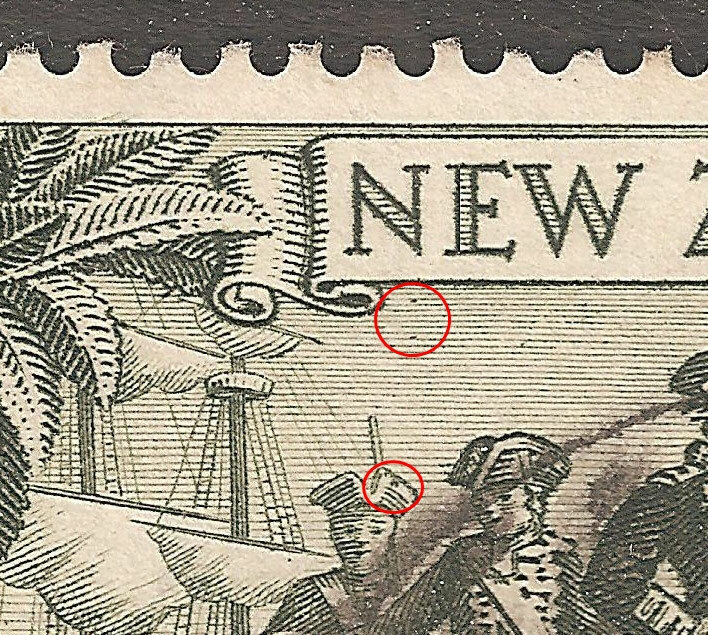 Evidence of retouching after removal of dot. 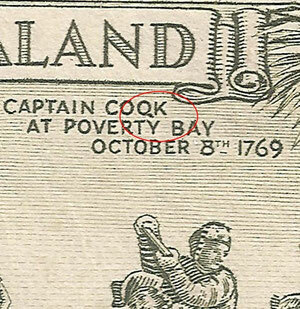 R1/4 'COQK' Flaw, most famous flaw on the 2/-, found on all printings. R1/5 Also dot on marines hat and dot under N of 'New'. 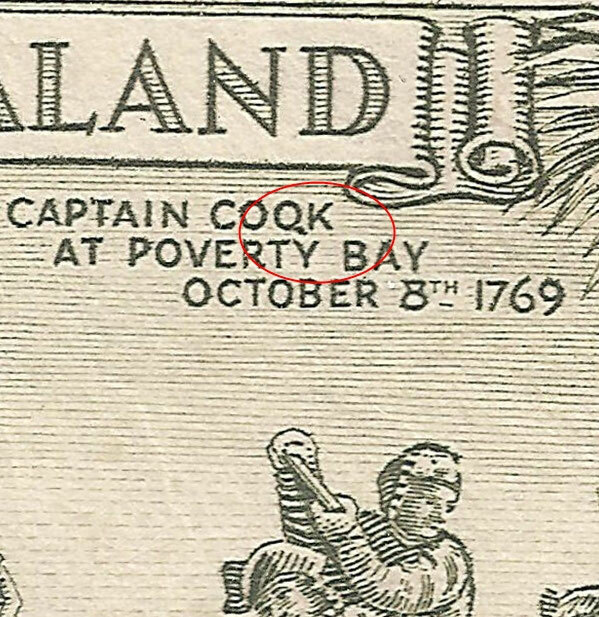 R 1/11 Flaw in front of cooks elbow. 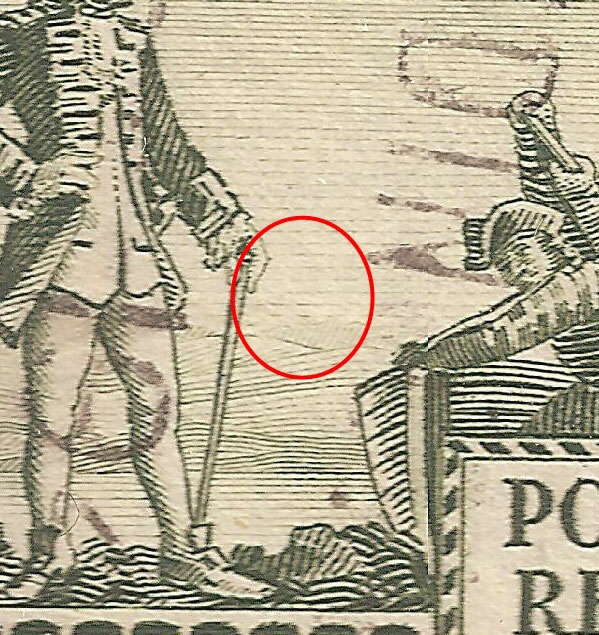 No image at this stage. 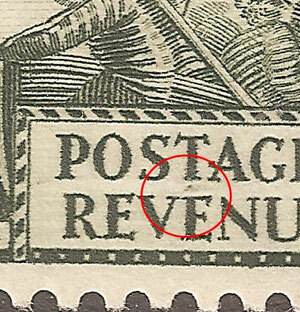 R1/12 Dot left of head.Two stages. R 1/12 second stage, mark on Cooks leg. 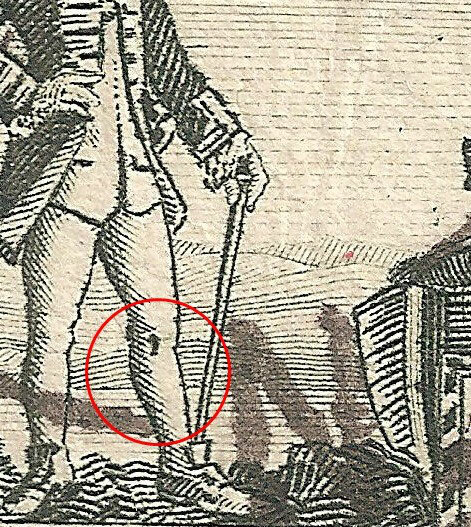 New flaws are being added in order, watch this page for regular updates and additions.